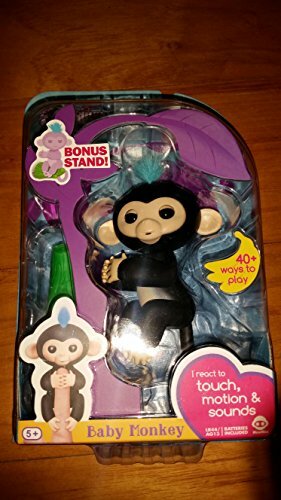 WowWee Fingerlings Finn Baby Monkey Black with Bonus Stand. This baby monkey Fingerling toy will react to your touch, any motion, and even the sound of your voice. Get one today and make your child happy for a long time to come!